During the first few weeks in December, I put away most of our regular school books and resource and focus more on Christmas. I find that doing this helps my children (and me!) prepare their hearts for December 25th. We think more about why we celebrate the holiday and less one the thing we want – although gifts are good, too! So, I thought I’d share 8 of my favourite Christ-centered children’s Christmas Resources with you. Any affiliate links are marked with an *. This is a downloadable and printable lapbook resource geared for grades 2-7. For each mini book, the story is read from scripture and then a bit more information is given. For example, to learn more about Mary and Joseph, Matthew 1:18-25 is read and then some background information on Joseph is offered. Children then answer questions about Joseph in the appropriate mini book. This resources is published by A Journey Through Learning and can be purchased here for $8. 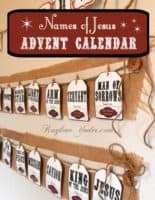 There is also another Christmas lapbook that teaches things like the history of the advent calendar, the Christmas tree, family traditions as well as some holiday recipes. This lapbook is $4.50 and available here. I just love this one! These old hymns have brought a much deeper meaning to the hearts of my children through studying them. 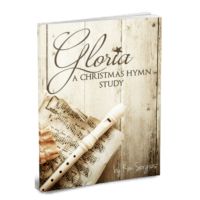 Kim Sorgius’ Gloria: A Christmas Hymn Study will not disappoint (does her stuff ever disappoint??). Students learn the history behind each hymn and complete word searches, copywork and more. Some hymns included in this resource are: Away in a Manger, Silent Night, Hark the Herald Angels Sing and Joy to the World. I see that this resource is on sale right now for $19. It is very much worth it! If you want to be ready for Easter and next Thanksgiving, you can buy the bundle of three wonderful hymn studies on sale for $35! 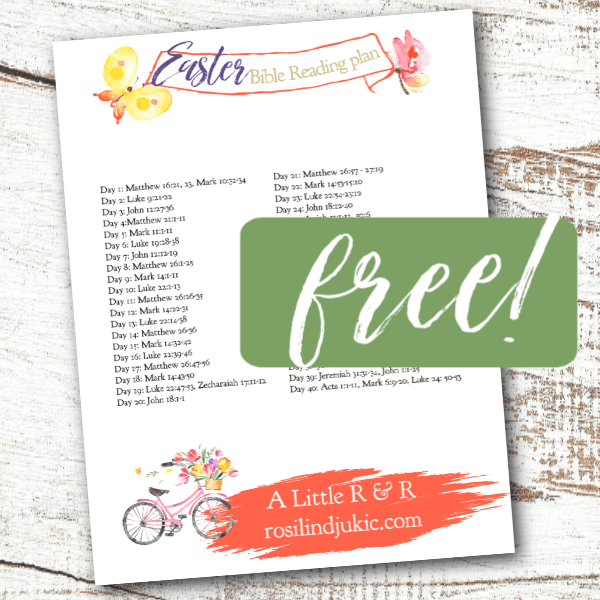 Kim also has a wonderful holiday bundle full of fabulous resources for holidays throughout the year – and it is FREE! You just have to sign up to get it. This publisher has quite a few Christmas resources. They aren’t necessarily faith-based, but they are enjoyable nonetheless. There is the 12 Days Of Christmas lapbook that includes the history of the song. Going to see the Nutcracker ballet is always enjoyable, and to help facilitate understanding, there is a lapbook to go along with it. The Christmas Cheer lapbook is for younger children. It contains several fun projects and activities. The Story Of Christmas Notepack will be a wonderful addition to your Christmas season. These resources are $10 and available through CurrClick. My youngest 2 kids LOVE Lego. And when I say they LOVE Lego, I mean they LOOOOOVE it. Both of their bedrooms are FULL of buckets and bins that are FULL of Lego. I’m not sure if there is much of anything else in their rooms! So, doing a Christmas nativity Lego challenge was right up their alley! They loved doing this last year and they will likely be doing it again this year. Tauna from the Proverbial Homemaker has a resource that we used last year and we were thrilled with it. It is well worth the $5.99 price! I think we might also try the Jesse Tree challenge this year as well! 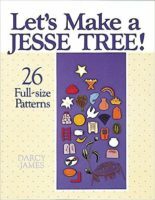 Speaking of the Jesse Tree…several years ago, I made a banner and felt cut-outs for us to read through the story of the Jesse Tree. Growing up, I had never heard of this story, so I was thrilled to start a new tradition with my family! I used this book of patterns for my decorations, but I see that Amazon has several kits available. So, take your pick! 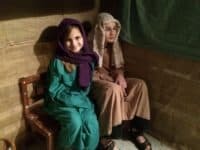 My kids in character at Night in Bethlehem. Well, this special event is local here in the Okanagan valley in BC, Canada…but I am sure there are other churches that do a similar thing. I know it isn’t a resource, per se, but we certainly used it as part of our homeschool – serving others, Biblical history and more. Our former church puts this on every year – when we attended this church, we participated by running a booth, which was different each year from fish to tea to soap. It was a lot of fun getting into character as a Bethlehem resident during the birth of Christ. We moved last year to a nearby town, so now we attend as guests! Our new town has a similar event called Bethlehem Star. If you have such an event near you, be sure to attend. It is so much fun! I bought this gorgeous printable pack last year and I absolutely LOVED it! Kaylene Yoder has created a lovely pack of resources like a subway art print, notecards, banners and a memory game. The kids enjoy reflecting on the wonderful names of Jesus throughout the Christmas season. These decorations serve as a great reminder of why we celebrate Christmas. What are your favorite Christmas homeschool resources? How do you keep Christ the center of Christmas?